*Career stats are updated nightly. The Texas Rangers signed free-agent right-handed pitchers Jose Contreras and Nate Adcock and outfielder Bryan Petersen to 2014 minor league contracts with non-roster invitations to major league spring training, the team announced Thursday. The Miami Marlins have signed free-agent right-handed pitcher Jon Rauch to a one-year, $1 million contract. 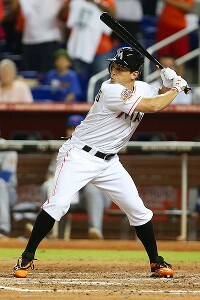 Adam Greenberg struck out on three pitches Tuesday night when hebatted for the first time in seven years after the Miami Marlinsgave him a second chance.